"You are no more yourself than you now here live." This quote from Shakespeare is to the point. Furthermore, we "live" not only in our physical body, but also in all of the various bodies of interest we have created. A photographer lives in his photos and cameras, a teacher in the teaching process, etc. We actually spend a lot of time in these special areas of ourselves. As dharma practitioners, we live in the body-of-knowledge we call dharma that we have created for ourselves, and so forth. Our sense of self and who we are fluctuates or oscillates. We have ups and downs. Most of us go through a regular rhythmic process or cycle that alternates from feeling very good and in control, to feeling not-so-good (not-so-in-control), to feeling good again, and so on. We tend to look for that happy medium (ourselves) where we feel "just right," not too emotional, and not too distant from life. "When you're hot you're hot, when you're not you're not." How true. The times when we feel good or are "right on," we tend to move ahead in all areas of our life. We are in an expansive or forward-moving phase. We are eager to fulfill existing responsibilities, and we feel we have the energy and insight to take on even more. In these good times, we extend ourselves into new areas of life or make a deeper commitment in areas of current involvement. We do this based on the high energy that we feel at the time. It can be very hard to remember during those times that there may be another side to our story — that we may not always feel so "gung ho," and that the high energy push that we are riding may in time flag. Like all cycles, the tide changes and we find ourselves stuck within a situation that we created, but without the guiding light, energy or attitude that first put us there. Furthermore, we do this over and over again. This kind of cycle happens in little and in large ways. It happens large on the level of our basic self-confidence, and it happens small in any of many subjects where we find ourselves involved. There is a tendency to bite off more than we can chew during our flood times. And we may get stuck in a situation during the ebb tides, and have to wait for the next high tide to pick up where we left off. In fact, the process is not dissimilar to the action of waves washing a log up on the beach. Each new wave of energy pushes us a little farther in the course of our life. In between waves, things tend to remain just where the last wave left them. When the energy and light are there, we explore and pursue what interests us. When it is gone, we wait for the tide to come back in. At times we may even cry out for help. Learning to work with this pulse of life is an important part of life study. As dharma students we should be able to verify this cycling process as it relates to our study of the dharma. There are times when we can understand what is written in the various dharma texts, and other times when nothing seems to register. We have times when it all clicks and we sense the way things hang together or work. We can see connections on many levels. There are other times when we wonder what we ever saw in the very same books and thoughts. At the low end of a cycle the life energy or light is, for the moment, gone. In summary, our interest (and self) appears to pulse or fluctuate. This happens over and over. It cycles. For now, it is not important for us to attempt to link up this or that cycle with the movements of the planets, or any other reason. Here we will work toward a better understanding of this cyclic process itself — the pulse of our life. Our incarnation can be seen to consist of all of those areas of our life where we are involved, attached, and connected. Each of these smaller life areas has a pulse or rhythm of its own, just as we have seen that our interest in dharma can wax and wane. In addition, we have a larger sense of self that could be seen as the sum total of all our involvement. This large sense of our self or wellbeing also has its ups and downs. The point here is to provide the setting for a very simple (but important) observation and that is: incarnation is indeed an ongoing process. It consists of all the smaller series of involvements in which we find ourselves, and each of these has its own pulse. If we are to speak of "re"- incarnation, we must look to see how that works in the cycle-like process of life itself -- Samsara. Re-incarnation means to somehow live on or again. It may be difficult to grasp the process of re-incarnation at the lifetime level. However, it should be clear how this works by examining the much smaller cycles of our day-to-day life. Here we may find a clue as to how this re-incarnation process functions. Such clues are not hard to locate either. Every passion or subject of real-life interest, whether it be a study of dharma, astrology, or a love of philosophy, has its seasons, its cycles. There are times of inspiration, when we are fired up and when great progress and understanding is possible. At these times, we have a real feel for the subject. Everything falls together and makes sense. We feel great. We are on top of the world, in control, and able to manage all of the unwieldy and difficult passages of life. And here is the point when we say "Yes!" to life. It is during these "good times" that we "re"-incarnate, if it can be said we reincarnate at all. It is at the high times that we look over our life (our creation) and judge it good and worthwhile. We say "Yes" to life. It is then, at these high times, that we ask for more, that we desire to feel this way forever. At the high times we find it hard to remember the other side of the process — i.e. the low times. Were we better able to do this, we might think twice before asking for more of the same. It is standard procedure in many spiritual disciplines to take the high and the low times without preference, to abide in whatever state we find ourselves, desiring nothing other than what is present. We could speculate that this kind of attitude might be a key to balancing out some of the cycles in our life, at least in those areas where we tend to plunge from very high to very low and back again. Sometimes it might be better for us to not ask for anything more. My purpose here is to demonstrate that we invoke or ask for continued incarnation in the odd moments, hours, and days of our lives, where we sense a real oneness, continuity and unity. And we do it piecemeal, issue by issue, rather than saving it up for the end of our life. We are the sum total of our desires for life. Today we might be at the top of the cycle as regards our study of dharma. We see the reason for it in our lives, give it our blessing, and opt for a continued subscription. We subscribe to life on an issue-by-issue basis. Tomorrow we may approve or re-subscribe to something else. We ask for it, and what we ask for adds up to our continued involvement. You might be tempted to jump to the conclusion that it is being suggested here that one ought not re-subscribe to life, not re-incarnate. Not so. The goal here is only to develop awareness of an ongoing process, so that we might better understand what it is that is happening to us, and have a choice in the matter. Let's subscribe to the issues we choose. In closing, let's recap the flow of our discussion. Understanding the process of re-incarnation involves examining each of the areas of interest in our life where we find ourselves alive-to and living. We re-commit ourselves to each of these areas on a not-infrequent basis. We do this when we feel very good and in complete control (at one) with the subject. We also do this, in general, with our whole life. On those very, very good days, when we are at one with life and all is just right, those are the days when we desire to do this forever, to live forever. There is this endless process of incarnation, of desire. As a child is born, he or she picks up his or her own karma, as well as the mantle of the desires of the current generation and continues on with it. It is an endless life and an endless 'One' who is living that life in all of the bodies that now exist, have ever existed, and might ever exist. The wise tells us that death is but an illusion. We might add that it is, at the least from our "un-wise" perspective, a "Grand Illusion." If we find it convenient to see the endless birth of each new generation as a "re"-suming or "re"-incarnation, fine. 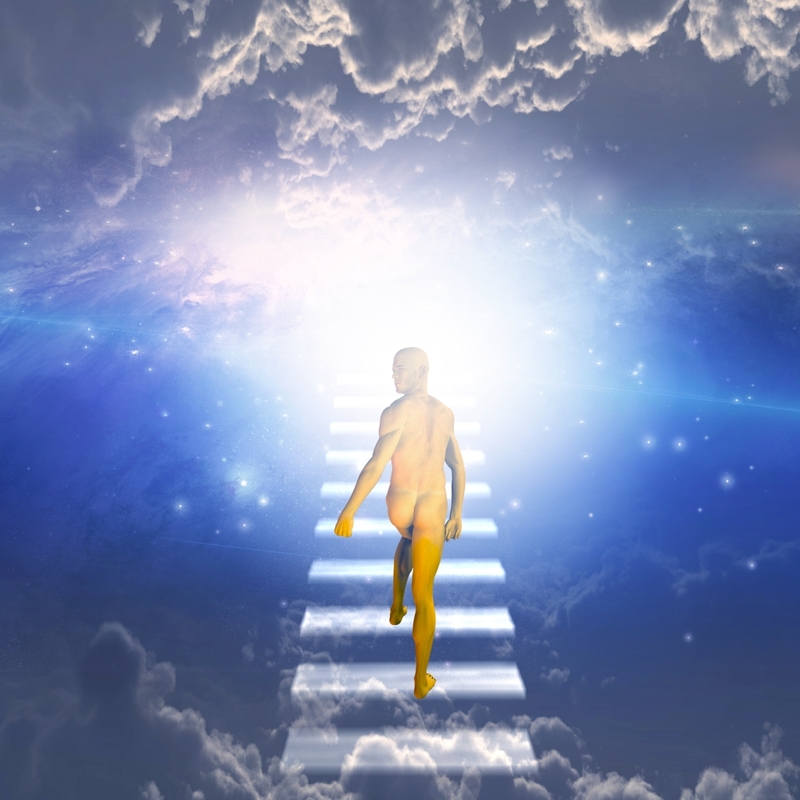 There is evidence that it might be even more convenient to conceive of life as an endless incarnation or fountain of life, incarnation, rather than reincarnation. Then the term "rebirth" might be more appropriate.